A retractable aluminium ball pen laser engraved to an oxidise white finish. 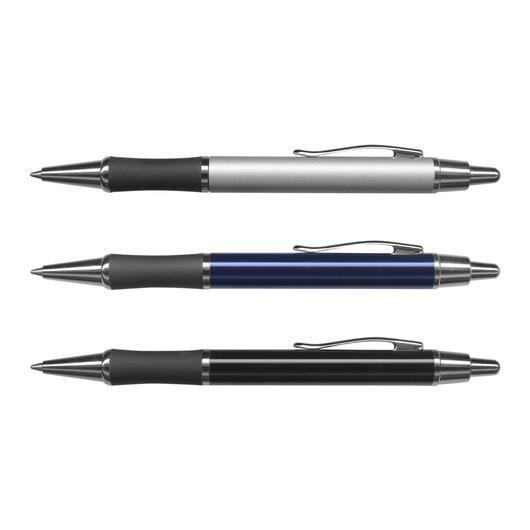 These stylish and smart looking retractable aluminium ball pens can be your next favourite thing. 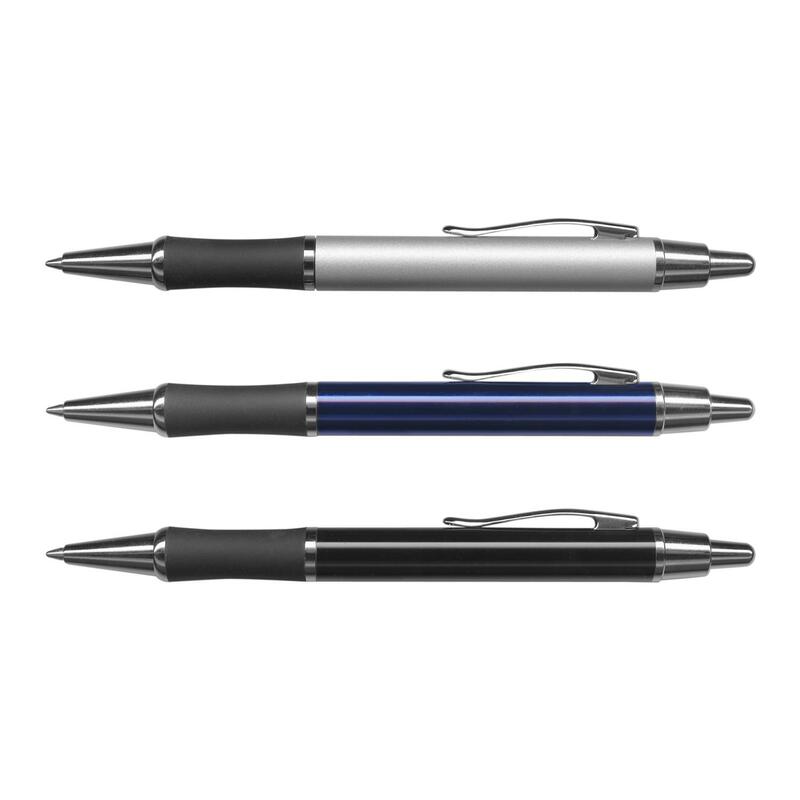 These ball pens feature a lacquered barrel, a soft touch rubber grip and shiny chrome accents. 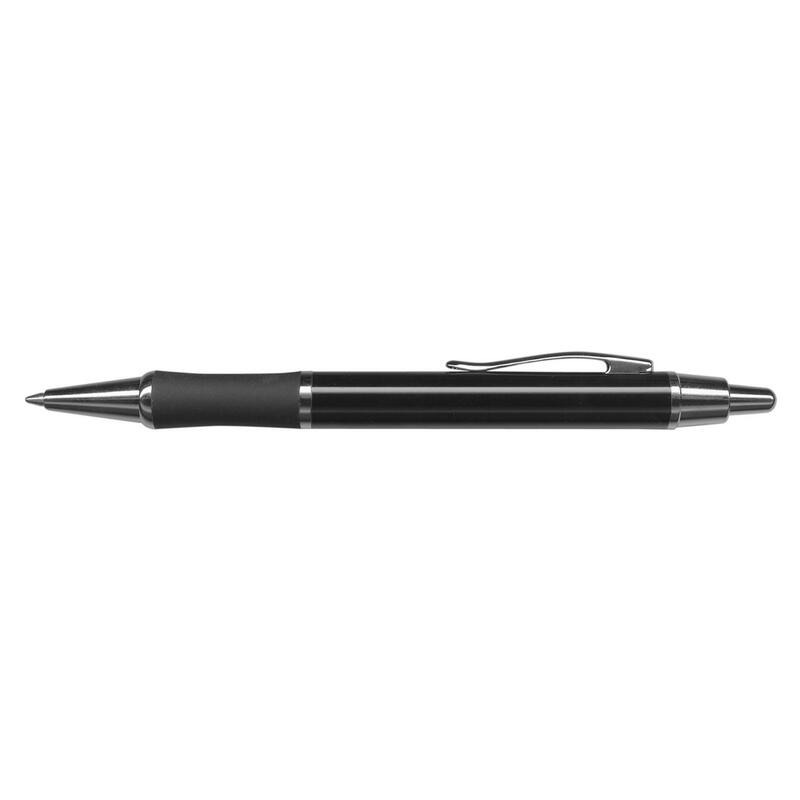 They are available in 3 colour options and come with a large volume refill of black 1200m of writing ink. 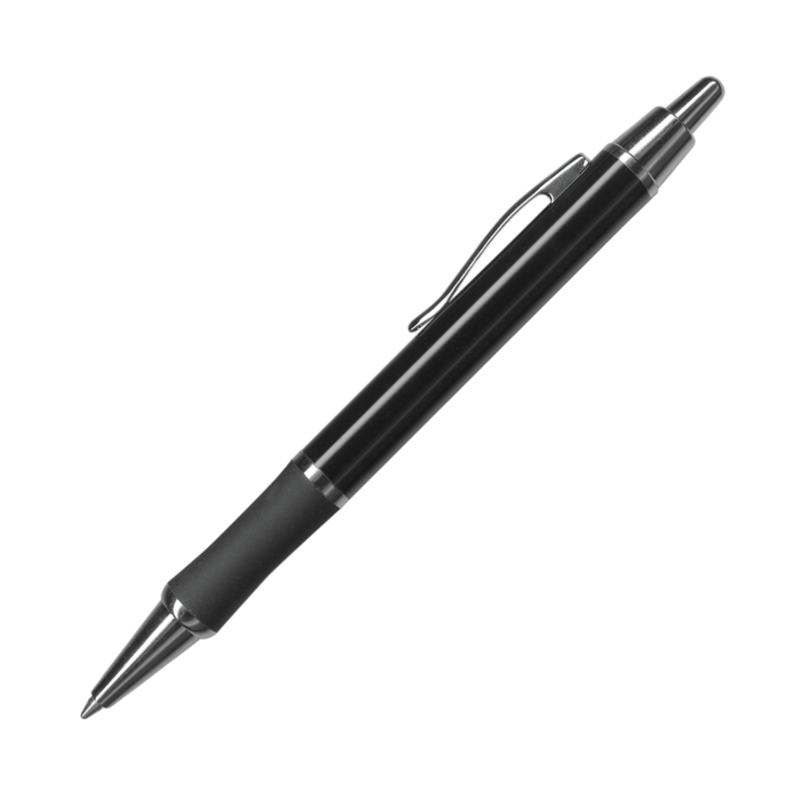 Additionally these pens are laser engraved to an oxidised white colour and can be elegantly presented in an optional velvet sleeve or a gift box.